GERD is a common, chronic digestive disorder and an acronym for Gastroesophageal Reflux Disease. It occurs when the stomach acid or sometimes the stomach contents flow back into the esophagus or food pipe. The backwash or reflux then irritates the esophagus’ lining and results in the condition we call GERD. Heartburn and acid reflux are very common digestive disorders that most people experience every now and again. However, when these symptoms occur more regularly and start to interfere with your day to day life, you should see your doctor who might diagnose you with GERD. In the majority of cases, a combination of lifestyle changes and over the counter medication is enough for people to manage their discomfort and control their symptoms. Unfortunately, in some cases, more powerful medications and even invasive surgery may be necessary. Regular bouts of heartburn are one of the most common symptoms of GERD. Acid reflux or regurgitating food and liquid. A feeling as if there were a lump stuck in your throat. You should seek immediate medical advise if you are experiencing frequent or severe symptoms and are taking heartburn medications more than twice each week. You should also see the doctor immediately if you are experiencing chest pain especially if it accompanied by jaw pain or a pain in the left arm. These symptoms could indicate a heart attack. The main cause of GERD is acid reflux on a frequent basis. During the act of swallowing, your lower esophageal sphincter, which works as a valve, becomes relaxed. This allows food and liquids to flow into the stomach before shutting again. If the esophageal sphincter is weakened or relaxes in an abnormal manner, it can allow stomach acid to flow the wrong way back into the esophagus. This causes heartburn which can have a dramatic effect on your daily life. This frequent reflux of acid ends up irritating the lining of the esophagus which causes inflammation or a condition called esophagitis. After some time, this inflammation wears down the lining of the esophagus resulting in serious complications like bleeding or a narrowing of the esophagus. Sclederoma and other connective tissue conditions. The mainstream approach to the treatment of GERD and heartburn involves taking antacid medications for the duration of the condition. Unfortunately, these medications do not take care of the underlying causes of the disorders and may even make matters worse. Many people given antacid drugs end up reliant on them and taking the for many years. When first introduced to the market, antacids were intended to be used for the short term and not for more than 6 weeks at a time. These days unfortunately, many people end up taking the drugs for years or even decades. There are many other problems linked to antacid medications. They promote a bacterial overgrowth, weaken the body’s defenses against infection and reduce the bioavailability and absorption of important nutrients. They can also increase your risk of developing an inflammatory bowel disorder and even cancer. Digestive enzymes help to promote the emptying of the stomach. When you consume a meal, your food enters the stomach and gets subjected to a combination of enzymes and acids that help break it into small particles. After this, the food particles leave your stomach and enter your small intestine where more digestive enzymes complete the digestive process. When your body is not producing sufficient digestive enzymes or the lack of stomach acid fails to activate these enzymes, stomach emptying gets delayed. This can occur as a result of taking antacid medication or certain pancreatic conditions. While delayed stomach emptying may well be one of the causes of GERD, it is not the only cause and there is debate how useful digestive enzymes can be. A review published in 2009 noted that anything present in the stomach when reflux occurs can come into contact with the esophagus. People trying to empty their stomach by taking a digestive enzyme supplement are risking the enzymes coming into contact with their esophagus and this can further irritate the lining of the esophagus. Although anybody can experience heartburn or acid reflux, GERD is more prevalent in overweight and obese adults than in other groups. Excessive amounts of weight especially in the abdomen puts increased amounts of pressure onto the stomach. This can increase the risk of backwash from stomach acids that find their way back to the esophagus and cause the common symptoms like heartburn. Not everybody will be affected by the same types of food and it is worth keeping a food diary or at least making a note of the food which triggered your symptoms. You should also try eating smaller portions at mealtime. Eating smaller meals more often can help to prevent the reflux of stomach acid and can also help you lose some weight on the long run. All of these herbs can be bought in supplementary form or drunk in the form of a herbal tea. There is plenty of anecdotal evidence to suggest that these herbs work for some people but unfortunately we are lacking scientific evidence to confirm their use for GERD specifically. You should always consult a doctor before taking any herbal remedy for any condition. This is especially important for women who are pregnant or breastfeeding. You should also make sure that you buy any herbal preparations from a trusted source. The list of reasons to quit smoking is endless but just in case you wanted to find another reason, GERD and its symptoms provide you with it. For people with GERD, smoking is especially detrimental; it damages the esophogeal sphincter responsible for preventing the backwash of stomach acids. When the esophageal muscles are weakened or damaged, a person with GERD is likely to experience even worse and more frequent bouts of heartburn. It is much easier said than done, but anybody with GERD should do their best to quit as soon as possible. 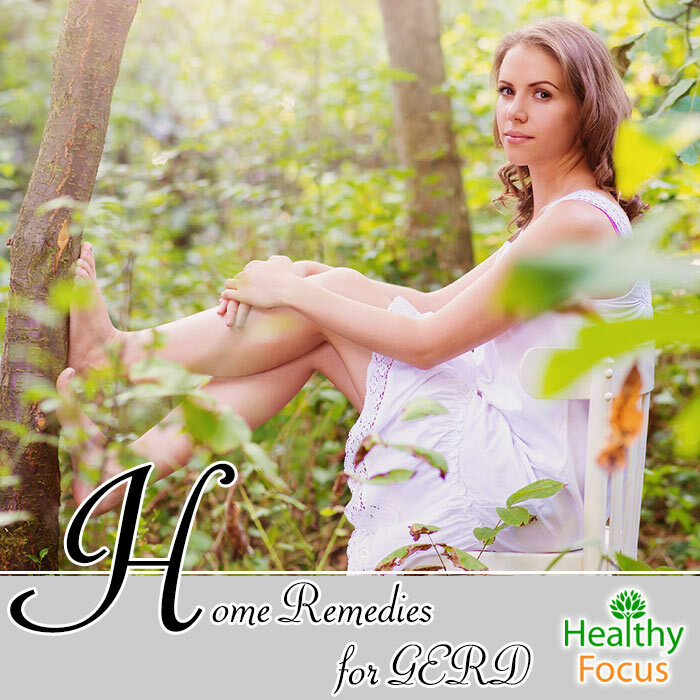 If you suffer from GERD, we hope that these remedies and lifestyle changes will be effective for you. Good luck and let us know how you got on. If you have any other effective remedies, please let us know about them.